Three Point Perspective: It’s Done! Really! The other building I had to tend to on my trip was our Fairview, TX building. I went down there in April with my colleague Bri for a day and a half, because we were told it’d be ready by then. It was not. It was a mess of contractors, grouting tile, touching up paint, installing doors! It was a mess. We went down for Monday – Tuesday and our first event was that Friday. It was insane. Par for the course really. So we couldn’t place any furniture or stage anything at all, so we hung artwork. Amid construction dust and careless subcontractors we dared to put up our art. But it was all we could do. Luckily, Fairview and Richardson are like 15 minutes away from each other, so this trip I was able to go back to Fairview, add some finishing touches and see it clean and polished. It’s such a different feel but it’s the exact same floorplan. That’s one part I love about my job. The shell is the same each time (relatively), but we can achieve several different ambiances through what we put inside. Lighting, finishes, mouldings, furniture, and artwork change EVERYTHING. Bri was mostly responsible for the finish selection in this one, as I was on maternity leave at the time, and she did a stunning job as always. I was there to help with lighting, furniture, art and everything else. I was so grateful she was able to come with me to help out. So here it is, same building – different feel. It’s not often I get to go and see each building ALL the way done, so I was super excited to get the chance to do that this time. Every time is different and exciting and stressful, but we always manage to pull it together eventually. K I’m done with Noah’s posts. Like I said, this is mostly a record for me to keep. I hope you enjoy the pretty pictures if nothing else! 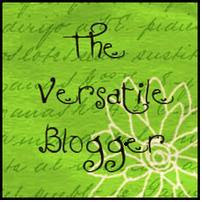 This is my forum for documenting growth in all facets of my life. Most people know one side of me, this is to show ALL sides of me: the mother, the designer, the author, and yes, I'm saying it out loud, the gamer. You're welcome to take this journey with me, wherever it will lead! Boho Chic Bedroom Refresh for Under $200.00! Too Many Cooks In Your Kitchen?